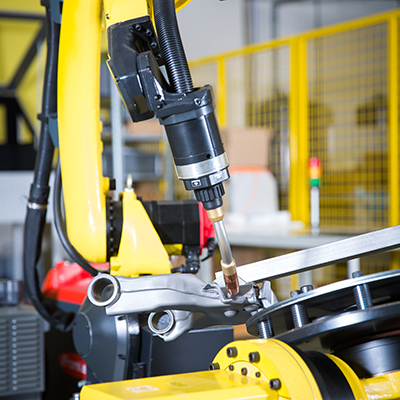 This new generation of Arc Welding robots stands out based on its productivity advancements and rapid integration times. 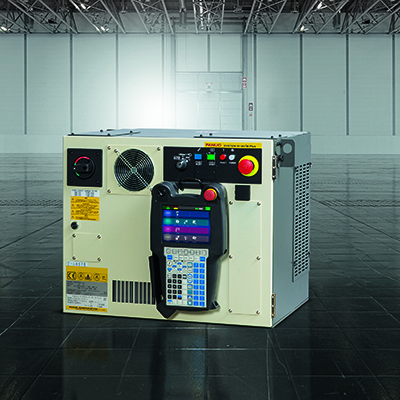 To utilize space more efficiently, the new ARC Mate 100iD has received a more sophisticated, curved design, which allows it to effortlessly operate in compact welding cells. It features a fully integrated welding hosepack and utility cables, which further economizes the workspace. A larger workspace, reach and stroke, even in the backflip area, allows for a bigger working range. 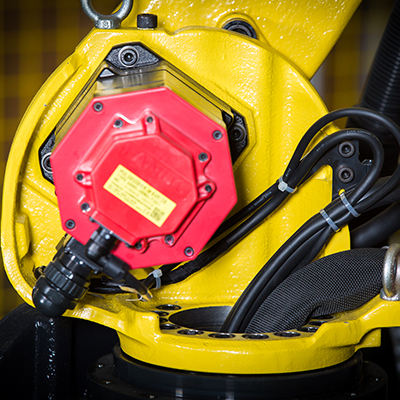 Improved rigidity and repeatability together with faster motion speed, mean increased productivity. The torch hosepack as well as additional utilities such as seam tracking sensor cables, vision cables, or air pipes, are routed through its hollow arm and wrist, enabling it to fully articulate to reach narrow spaces in jigs and tight fixtures. 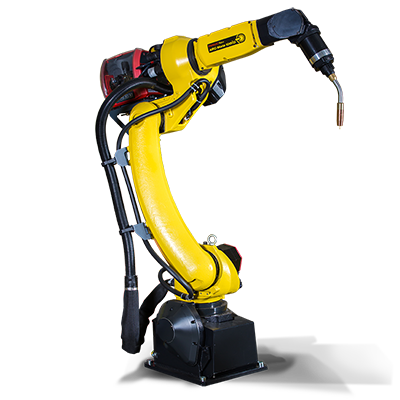 This Arc Welding robot features the largest hollow wrist in its class with 57mm. 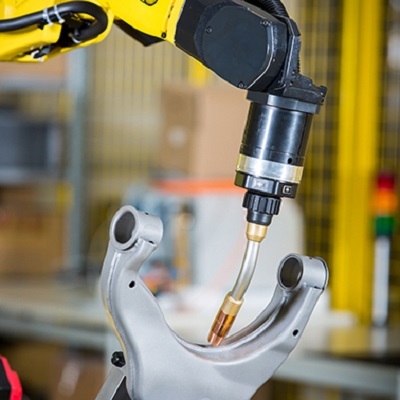 The ARC Mate 100iD features the new robot controller R-30iB Plus, which now has a more flexible appearance, based on an improved user interface. 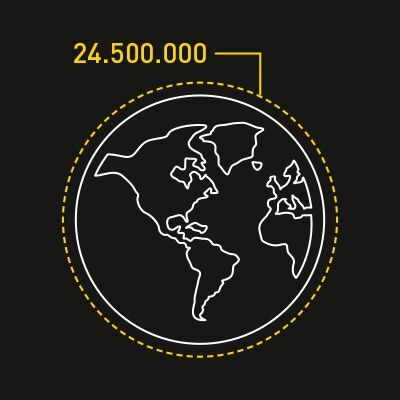 Fiber Laser systems are often built so that they tailor to only one specific customer need, limiting the entire system to one purpose. 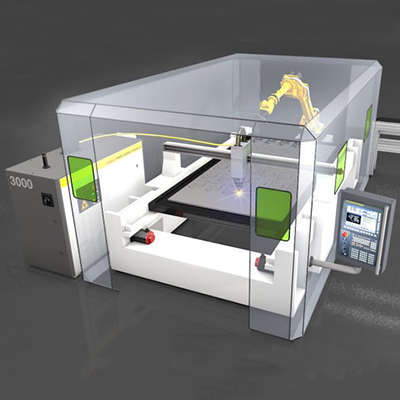 By adding an Arc Welding robot to the system, it receives a high level of flexibility.